We haven’t visited the golden age of shopping for a while, so why not take a waltz down the aisles once again. 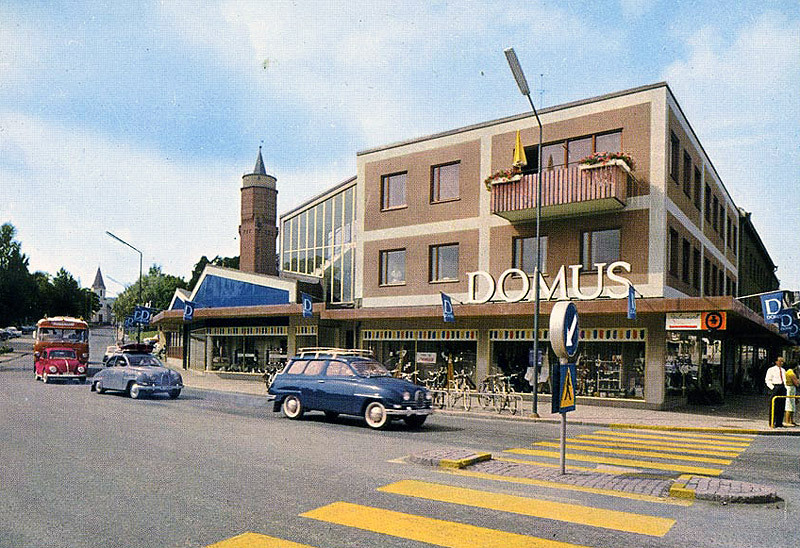 This time we are focusing on the Swedish department store chain Domus (house in latin). It was owned by the Consumer Corporation (KF) who in their glory days had over 200 stores throughout the country. Sadly, business was slowly beginning to come to a halt in the 1980s and many of the bigger stores were redeveloped to mini malls or sold. Personally I think that the Domus stores still are the coolest stores ever to exist and Sweden and I miss them in a silly – but kitschy way. For those who are interested in learning more about Domus, there is a great documentary by Swedish filmmaker Anders Wahlgren available.